Now here's an interesting business coming to the Shark Tank the Sharks probably know a thing or two about. Some Celebrities spend their entire lives dodging the paparazzi cameras while others go to great lengths hoping someday just to get noticed. Would you believe some people will even rent the paparazzi just to see what it's like having all the cameras and attention focused just on them? Renting your own paparazzi has to be the ultimate ego trip having a bunch of them following and taking pictures of your every move while everyone else is wondering who the heck you even are. I wonder how many people on the streets also take your picture just in case you really are a Mega Star. 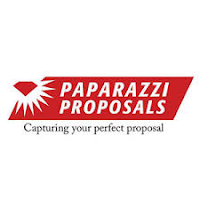 As crazy as this business idea sounds, James Ambler the owner of Paparazzi Proposals also offers a more practical service that could greatly increase his overall revenue. If there was ever a moment in time you would like to get every move captured on camera it would have to be during your Marriage Proposal, right? Well not only will Paparazzi Proposal take pictures of the special moment (hopefully hiding I would assume) they will also help create and plan the atmosphere including the location and a staged practice walk through so you don't screw up during this critical once in a life time moment. Personally knowing the paparazzi is hiding in the bushes and filming our every move would have me practicing several times, including re-shooting the whole scene with my future Bride which she might not be very happy about. Talk about having to perform on cue, this may be about as tough as it gets when picking that "perfect moment". What if she said No, now that would sure be embarrassing wouldn't it? LOL, I guess you could always send it to America's Funniest Video's and win $10,000.00 as a last resort. O.K. seriously, the Paparazzi Proposal is looking to establish itself as a "one stop shop" for getting married starting with your proposal and going all the way until you are married, and yes everything in between including small tips like what size ring does your new Bride-To-Be wear. This video with James Ambler below goes into all the services Paparazzi Proposals offers. You know I like this whole concept for a one stop shop helping guys get married, I really do. But I'm not sure the Sharks will like is the actual name of the business "Paparazzi Proposals" which I'm assuming they have had negative run-ins with the Paparazzi in the past. It looks like Ambler first started this marriage proposal concept under the name "Pap the Question" back in 2011 and has recently re branded to its new name. Why keep trying to make the paparazzi connection with getting married when its services offer so much more than that, I'm not exactly sure. If you've been reading the Shark Tank Success Blog for any length of time you already know I'm a big fan of descriptive business names with accompanying .com websites. That is unless of course it's a "brand able one or two word name" that comes with its own set of challenges when establishing a new brand. A very simple test in determining a great business name for your Product, Brand or Service is say it out loud and write down the first things that come to your mind. Does this clearly define what your business is all about? If it's a brand able name probably not, but if its a descriptive name then its usually in your best interest to match it as close as possible. The first thing that comes to mind when I say "Paparazzi Proposals" out loud is they don't exactly have the best reputation with Celebrities and Movie Stars. As far as the word "proposals" go, it would be hard for me to marry the two words together and come to the correct conclusion what the business is actually offering. It's a great idea but the name itself might drag the whole thing down inside the Shark Tank. As far as the Rent A Paparazzi Business goes that's located on the same site??? (now that's a descriptive name), this service could make you famous if for only a few hours. I could easily see a lot of people willing to pay the paparazzi to follow them around and give them the A-List Treatment and treat them like the Super Stars they are. How much does it cost to hire your own personal paparazzi? For only $525 you can get the basic package in the San Francisco area for two full hours. The Elite package which costs $625 comes with a few extra fringe benefits along with an extra hour's time. Now if you want the Full Celebrity Treatment which is guaranteed to get you noticed beyond your wildest dreams, this package will set you back $1150 for 4 full hours and see what its really like to live the life of a Celebrity. Be sure to tune in to the Shark Tank Show this Friday Night and see if any of the Sharks invest in this rather unique picture taking/video business.